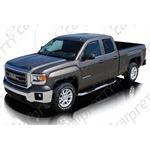 Car Pretty LLC - Truck Step Bars / Nerf Bars - Oval, Flat, ABS, Fiberglass, Stainless Steel, Black Powder Coated, 3", 4", 5", 6" Regular, Extended, and Crew Cabs. 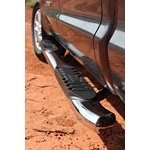 Truck Step Bars / Nerf Bars - Oval, Flat, ABS, Fiberglass, Stainless Steel, Black Powder Coated, 3", 4", 5", 6" Regular, Extended, and Crew Cabs. 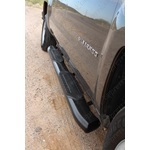 Ford truck step / nerf bars, Chevy truck step / nerf bars, Toyota truck step / nerf bars, Nissan truck step / nerf bars, Jeep truck step / nerf bars andDodge truck step / nerf bars.